The following article is taken from comments made at the CTIA’s 5G Conference in Washington, DC on April 4. September 4, 1882 is a seminal date in U.S. history. That’s when the first central power plant in the U.S. started producing electricity on Pearl Street in Manhattan. It served a whopping 85 customers, providing electricity to 400 lamps. From those humble beginnings, the electrical revolution began in the U.S.
That small service forever changed how people worked and lived in this country. Within a few short years, stores and homes across the nation had electrical lights. Entire new industries were born – think electrical appliances. Factory floors were transformed. New medical devices were created. Why do I tell you this story? Because it’s reminiscent of where we stand today in the rollout of 5G. 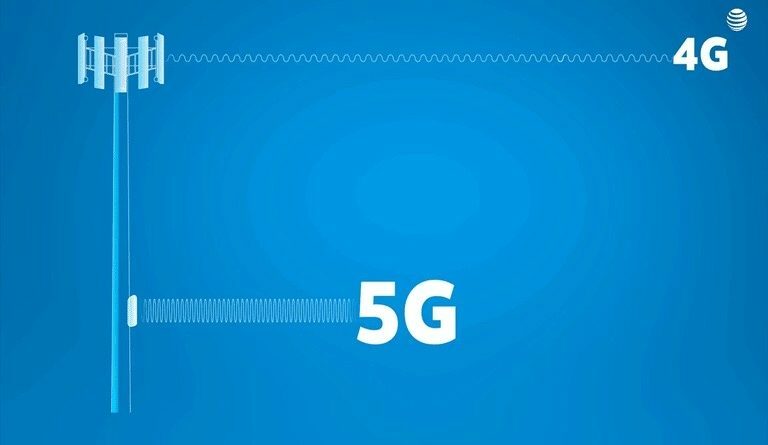 Last October, AT&T became the first company in the world to make a mobile 5G millimeter wave browsing session with a standards-based device. And yes, our coverage area was tiny on that day. Much like that electrical system on Pearl Street. Here’s what’s telling about the promise of 5G. Even before we made that first successful data call, we had businesses asking for 5G. Who does that? Who signs on to test a service even before a nationwide network is built and devices are readily available? Well, it turns out that global technology companies do that – Samsung Electronics America and Samsung Austin Semiconductor. They want to create America’s first manufacturing-focused 5G “Innovation Zone” in Austin, Texas. What’s a 5G-enabled smart factory mean? We expect they will have sensors that can provide alerts and notifications to help protect workers, monitor the status of machines and provide predictive maintenance alerts – all in near real-time. Powered by 5G, we anticipate that these sensors will help improve response time and enable a connected manufacturing floor. Forward-looking companies – like Samsung – want a real-word understanding of how 5G can impact manufacturing and provide insight into the future of a smart factory. Why? Because there are enterprises out there that understand that 5G – much like electricity – has the opportunity to be a revolutionary force in business. And 5G is arriving at the same time as other game-changing technologies are coming into their own, like cloud, edge compute, the Internet of Things and Artificial Intelligence. When you combine 5G with these elements, you create an environment that can eventually transform retail, make autonomous vehicles a reality, make it possible to build smart factories and revolutionize healthcare. In fact, when AT&T talks to its business customers about 5G, we focus on what we call our three key pillars: Mobility, Fixed Wireless, and Edge Compute. That’s because all three will play important roles in providing the types of services businesses need. Mobility – AT&T prides itself with a lot of “firsts” with mobile 5G. First mobile 5G network, first to offer a mobile 5G device – the NETGEAR® Nighthawk Mobile Hotspot – and the first mobile 5G business customer. And, using that NETGEAR® Nighthawk last week, we became the first carrier in the U.S. to reach mobile 5G speeds surpassing 1 gigabit per second. We reached this milestone on our live 5G network in multiple cities. We have mobile 5G millimeter wave service (5G+) today in parts of 12 cities. We plan to offer 5G+ in parts of 11 other cities later this year and expect to offer a nationwide sub-6 GHz mobile 5G network by early-2020. We already carry a 5G+ hotspot and have announced plans to carry two 5G smartphones this year. The first will be 5G+ capable and will be available in the first half of the year. The second will be capable of accessing both 5G+ and sub-6 5G and will be available in the second half of the year. 5G is here today and it’s getting bigger quickly. As much as I like to tout AT&T’s achievements, we should also note that the U.S. is winning the global “race” to 5G through the free market. All major U.S. carriers have already begun deployment of 5G. And according to the latest Ericsson Mobility Report, nearly half of the mobile subscriptions in North America will be 5G by 2023. We continue to prove that our country’s model works. A competitive private industry, not the government, is best positioned to drive innovation, investment and security. Speaking of security, 5G networks will be designed to have unprecedented security. 5G is the first time that security is being built into the standards from the ground up. Further, innovation in network design will create a highly secure and resilient 5G network. We will have more agile and layered security as we transition from centralized core and radio access networks to distributed, virtual networks. Simply put, 5G will enable the most secure wireless network infrastructure deployed to date. Our second pillar – Fixed Wireless – provides possible solutions to numerous business issues. For example, a quick service restaurant could get its point-of-sale devices working the same day it opens. 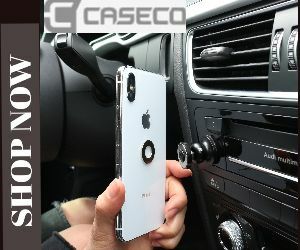 It can serve as a backup system, keeping its devices connected even if primary connectivity is interrupted. Retailers can set up a “store-within-a-store” – pretty much on the fly. Fixed Wireless will also unleash competition into the marketplace as business will have more choices for ultra-fast communications service outside of their traditional incumbent wireline providers. The third pillar – Edge Computing – is expected to bring a sea-change in how businesses can use cellular data to massively improve their operations. Edge computing allows businesses to route application-specific traffic to where they need it and where it’s most effective – whether that’s in the cloud, the edge of the network or on their premises. Let me bring this to life for you with a healthcare customer – Rush University Medical Center and the Rush System for Health in Chicago. The leadership at Rush – one of the top hospitals in the nation – wanted to begin unleashing the power of 5G and edge computing. Specifically, Rush has already begun using our Multi-access Edge Computing technology – or MEC for short on its existing LTE network while AT&T deploys a 5G millimeter wave network on premises. MEC is a cloud-based IT service environment at the edge of the network. Businesses can store vital information on a local cloud server inside their premises. By setting up our MEC system, they have very fast, very low latency, and highly secure access to that information. Just think of the ultimate possibilities: Doctors might create 3D digital models of your vital organs, and quickly compare how they have changed from day-to-day. The incredible combination of 5G, Edge Compute and AI will eventually bring new methods to diagnose and treat diseases. Virtual and Augmented Reality will be used as teaching tools for medical students. We’re at the beginning of this journey, just like that tiny commercial power plant in Manhattan 137 years ago. And the early adopters of 5G are very much like the first adopters of electricity. Because once you flip that switch to the “on” position, the whole world changes and innovation begins.